Joan Lingard was educated in Belfast at Strandtown Primary and then went to Bloomfied Collegiate on a scholarship. She returned to Edinburgh when she finished school and has lived there ever since. Her first novel – for adults – was ‘Liam's Daughter’ (1963) which was followed by another fifteen adult novels. Her settings are wide-ranging both geographically and historically, moving from present-day Edinburgh to pre-war London, revolutionary St Petersburg, Civil War Spain, and of course the streets of Belfast during the Troubles. 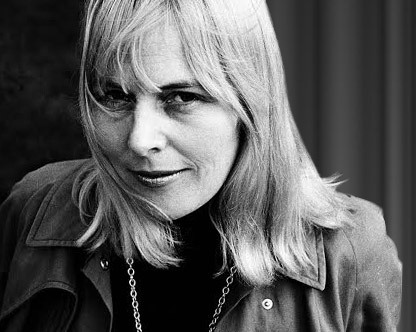 Despite her prolific output as a writer of fiction for adults she is best known as her children’s fiction and has written almost fifty children’s books. Her first children's novel was ‘The Twelfth Day of July’ in 1970, the beginning of what would become the Kevin and Sadie quintet. This was a daring innovation in children’s writing in that it dealt with the complex emotional life of teenagers which a number of people at the time thought was unsuitable. The Belfast setting of the novel was also perceived as off-putting by English publishers and agents even though Lingard was writing about a pre-Troubles city, though one in which sectarian division reinforced the problems that her young characters were undergoing. Lingard was awarded an MBE for Services to Children's Literature 1998, and continues to write.